Discussion in 'The Toyark' started by Boardwise, Feb 6, 2006. Lows: Kinda bummed at the moment. Hope things pick up for ya man. There's a die-cast Star Destroyer here for $20 at a comic shop. It's the same size as the action fleets. The belly opens for leiahs ship. Lemm know if you want it, or eBay might have a few. It's pretty cool but could use more detail. 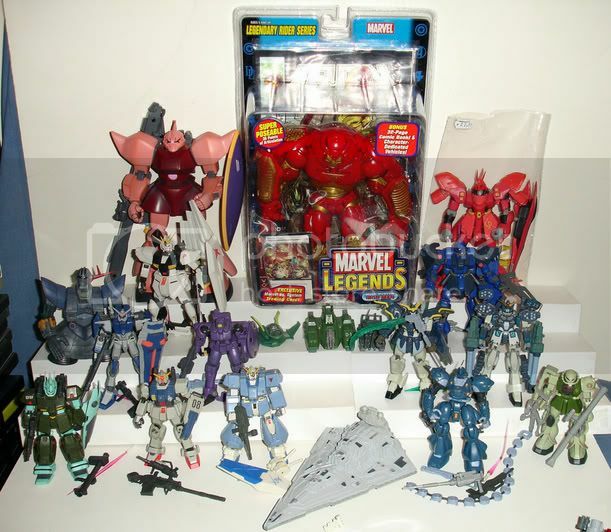 Here's a pic of mine, but only pic I have of it is in a haul pic. That Titanium Series Republic Star Destroyer like Cruiser is baddass. Hope you get a few of those as well since they're out now. If you see that white TIE anywhere, get it! There's only 1 per case. Also bought some green snake guy. Not sure where's he's from (Conan?) so any ID one him or the Gundam would be awesome. He reminds me of CC in the GI JOE movie when Golobulus turned him into a snake. Thanks man. I spent roughly 30 hours in the past 3 days doing homework for University... I didn't even go to work yesterday. But, hey... My turn to post! 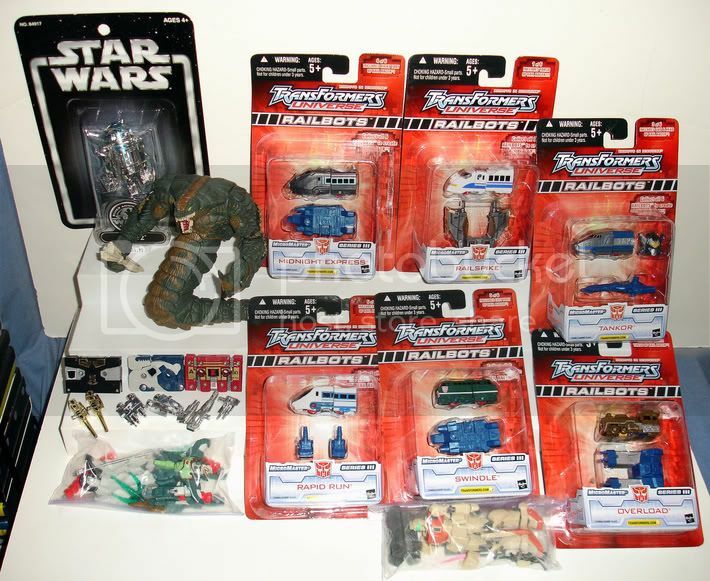 High: Alternators Sunstreaker, SWTF General Grievous, Cyb Blurr & Backstop. Get some rest Hook, 30hours of studying really sounds mentally draining. Highs: Got a Heroclix LE in the mail! I won the Player Rewards lottery for January! Hey CM, I think the green guy is Sansker from Spawn. Edit: D'oh comment was redundant. Highs - Received the Reissue Ricochet from member Flywheels yesterday. Great guy to work with. Lows - Still have not gotten my ebay package. I'm afraid I won't be able to get it till Thursday, which is my next day off. And this week is killing me! Working two jobs is definitely challenging. so any ID one him or the Gundam would be awesome. The other Mobile Suit (its not a gundam) is a GM. model RGM-79(G). GMs are basically the cannon fodder of the federation forces. DC i don't know what that is but it looks cool!